The colour of Pure & Rustic VSOP is pale gold. The nose rather fruity and fresh, the taste round and a slight punch in the finish, the aftertaste long. This 70 cl bottle presents a Cognac at 40% ABV. Pure & Rustic VSOP is a blend of 75% Fins Bois eaux-de-vie and 25% Borderies Cognac, matured in oak barrels for over 5 years. 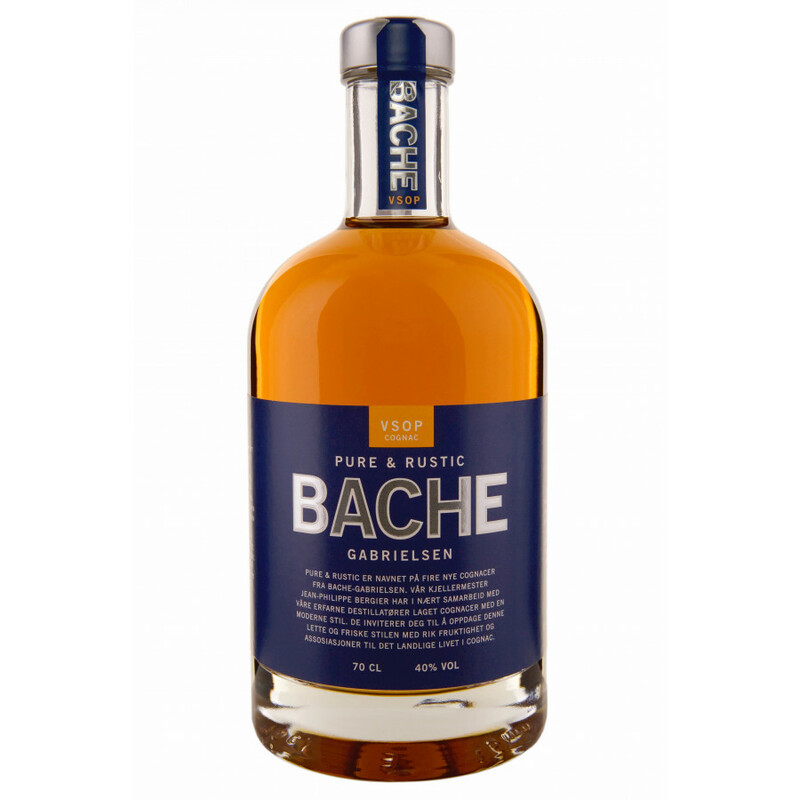 Some people like to call this product a Scandinavian Cognac: Pure & Rustic is the modern line of Bache Gabrielsen. Cellar master Jean-Philippe Bergier created a range of contemporary blends, in collaboration with other distillers of the region. The modern bottle form underlines the positioning.